Homeland of Vincent Van Gogh, the founders of Dutch Design, and blessed with cities full of character, prize-winning theme parks and exciting events, Brabant has a lot to offer and is increasingly being discovered by international tourists. This makes perfect sense, because there is plenty of good accommodation in Brabant with favourable terms. Moreover, Brabant has quick and excellent connections to Amsterdam, Antwerp and Brussels (journey time about 60 minutes). Come and discover Brabant! Opening hours: Normally stores are open from 09am to 05.30pm. Supermarkets are often open from 08 am to 08 pm. CRADLE OF WORLDWIDE FAME Being the homeland of Vincent van Gogh, probably the world’s most famous painter, Brabant has a wealth of culture. Together with ’s-Hertogenbosch as the home of Hieronymus Bosch and Eindhoven as Capital of Design, Brabant can call itself a world-class cradle of culture. The visitors' centre where the Tourist office is located, includes an impressive 30 sq. m “scale model” of the Heusden fortress and a film about the history of Heusden fortress (in Dutch and English). There is also a Guild Room and a wedding room in the building, where changing exhibitions take place. The Visitors Centre is the starting point of the guided or self-guided city walks, and is wheelchair-friendly and has a disabled toilet. Together with St. John’s Cathedral in ’s-Hertogenbosch, the Grote Kerk church in Breda and the Markiezenhof in Bergen op Zoom, Kasteel Heeswijk is one of the four official Top Monuments in Brabant. You can experience the chequered history of almost one thousand years of power, pride and culture of the elite of Brabant, all prominently located in the River Aa valley close to ’s-Hertogenbosch. 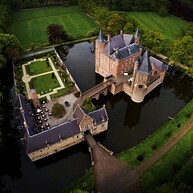 The castle is also the Nature Gateway to Brabant and is encircled by the Heeswijk Estate where you can spend some relaxing time among beautiful countryside. Come and enjoy this imposing monument weekly from Tuesday to Sunday. “Wonderful castle” People of all ages are welcome in the castle. There are special children’s tours on Wednesday afternoons and children can learn all about the knights who were once here in an exciting treasure hunt. That certainly made an impression on Susan: “I was allowed to put the helmet on my head to feel how heavy it was!” Coffee concerts are organised at the castle on Sundays from 12:00 to 13:00. With a website and audio tour in English, and guided tours - which if reserved in advance are possible in English, German, French and Spanish – many overseas visitors make their way to Kasteel Heeswijk. To much satisfaction, according to this reaction: “This old and very well kept castle is definitely worth a visit if you are in the southern area of Holland. […] The surrounding area is great for a stroll to enjoy the countryside. I would say this is a must see!” Nature Gateway to Brabant The Nature Gateway offers lovely walks from the castle through the woods and along the estate’s avenues and fields, criss-crossed by the meandering River Aa. Sail in a whisper boat to the unique Kilsdonkse Molen watermill and windmill, and visit the Museumboerderij (Farming Museum) in the village of Heeswijk-Dinther, or sample an abbey beer in the centuries’ old Berne Abbey, the longest established religious community in the Netherlands. At the very spot where Philips made its first light bulb in 1891, now the location of the Philips Museum is situated. Experience the history of a multinational and get acquainted with tomorrow's innovations. A visit to the historic Gouverneurshuis is the perfect start to your day in Heusden. The governor's house, dating from 1592, is one of the finest buildings in the fortified town of Heusden, and is the place to bring the history of Heusden to life with its permanent collection and interesting temporary exhibitions. In the museum café or the walled garden you can enjoy a cup of coffee, light lunch or a glass of wine. 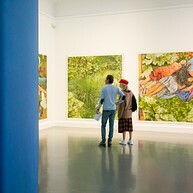 Stedelijk Museum Breda is the museum for the city’s heritage and history and for contemporary visual culture. 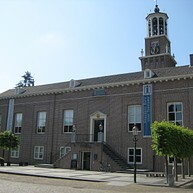 It was created by a merger of Breda’s Museum and the Museum of the Image (MOTI). De Pont museum is a museum full of contemporary art. The museum is in a former will-spinning mill in Tilburg where it has been converted into a unique space for the contemporary art. You can see artworks from various artists, at their website you can find an extensive list of all the artists featured at De Pont. Located in the centre of Etten-Leur, the Van Gogh Church offers a fascinating glimpse into what is probably the least known period in Vincent van Gogh’s life, but certainly not the least important! ‘The start of a career’ This is the church where Van Gogh’s father was minister for seven years and where Van Gogh could regularly be found. Vincent van Gogh first registered as an artist in Etten in 1881. For nine months he lived and worked in the parsonage behind the Dutch Reformed Church. He also had his first drawing studio here. ‘Precious memories’ In the Van Gogh Church you can see how Vincent wrestled with drawing but became better at it through sheer hard work. How he was infatuated by his cousin Kee Vos and the drama which then unfolded. How he had arguments with his father. How he left Etten at Christmas 1881 but never forgot it. 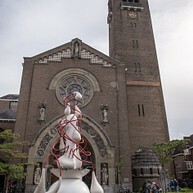 ‘Around the Van Gogh Church’ All these unusual stories are told in and around the Van Gogh Church. Nine colourful windows, multilingual information panels, showcases, animation, a film, a garden, an oversized portrait wall and audio columns take you back in time. The ‘Van Gogh in virtual reality’ is new: you will be immersed in an almost a real life encounter with Vincent van Gogh through a computer simulated environment. Van Gogh Shop The Van Gogh Shop has a large variety of souvenirs. It is also the ideal starting point for a Van Gogh walk or a cycle trip through the surrounding area. Van Gogh heritage location The Van Gogh Church and Van Gogh Shop (Markt 4) are within walking distance from the bus and railway stations. There is a multi-storey car park very close to the church. The locations are also on the Van Gogh Cycle Route that connects the five heritage locations in Brabant with each other. 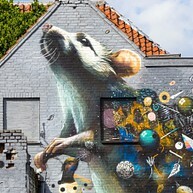 The Blind Walls Gallery is a museum on the streets of Breda. International artists were invited to create wall paintings based on the history, present and future of the city. Momentarily the collection is expanded to 70 visible wall paintings throughout Breda. Download the app or book a guided tour. 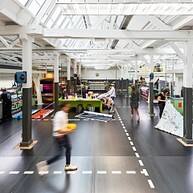 The Textielmuseum is a museum that showcases textile design. It's located in a former textile factory, which is a very important part of the history of Tilburg. What makes this museum unique though, is that it is still a working factory. 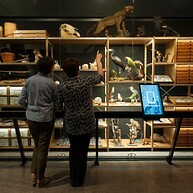 A perfect museum to visit with children and the whole family is Natuurmuseum Brabant. It aims to encourage people to appreciate nature and to educate them about it. The museum showcases a variety of different exhibitions and interactive activities. 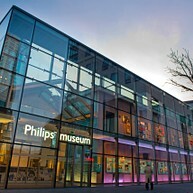 Entrance 17 of the Philips Stadium will take you to the PSV Museum. Here, you can admire the most important prices in club history and relive red-white in an interactive way. The village of Nuenen is also known as Van Gogh Village, and rightly so. 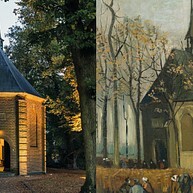 There isn’t a place in the Netherlands where you can tread in the footsteps of this famous painter quite so literally. Here, stories about Van Gogh are still vividly told, his letters are available for reading, and there are no fewer than fourteen locations which have been immortalised by Van Gogh in a picture or a painting. Experiencing Van Gogh’s life in the Netherlands so intensely is not possible anywhere else. “The museum is a gem” In the Vincentre museum you will hear all about Van Gogh and read his own stories about Nuenen, where he lived and worked from 1883 to 1885. Who was he, how did he live, who did he socialise with, and why was he so passionate about Nuenen? It will all become clear during an educational tour with an audio guide in no fewer than eight languages: Dutch, English, German, French, Spanish, Italian, Japanese and Chinese. In the village itself, no fewer than 23 locations have a direct link with Van Gogh. Together, they form a walking and cycling route with interactive informational signs in Dutch and English. From The Potato Eaters to The Starry Night The Potato Eaters is based on a scene that Van Gogh saw at the house of a peasant family in Nuenen. It literally comes to life in theatre Het Klooster. The world famous designer Daan Roosegaarde designed, based on Van Gogh’s The Starry Night, the now famous and unique Van Gogh-Roosegaarde cycle path, for which thousands of twinkling stones were incorporated in the asphalt. This cycle path, between Nuenen and the nearby city of Eindhoven, is part of the Van Gogh Cycle Route. Heritage locations in Brabant This cycle route connects the five Van Gogh heritage locations in Brabant, which of course include Nuenen. You won’t get any closer to Van Gogh than this. Or, as one of our enthusiastic guests wrote about Nuenen: “The same view that Van Gogh had!” Come and experience the place in which Van Gogh was inspired by the rural Brabant countryside, easily accessible at no more than ten kilometres away from Eindhoven, city of technology and design. 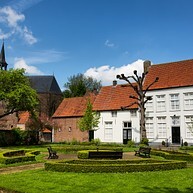 The Jheronimus Bosch Art Center (JBAC), located in an old church, displays all master pieces by Jheronimus Bosch. Even though the pieces in the tower are replicas, they are displayed in their original size and framed as originals. Do not forget to climb the tower: you will have an excellent view of the city of Bosch. The Vincent van Gogh House: a living arts centre in the birthplace of Brabant’s most famous artist ever, stands on the spot where Vincent van Gogh came into the world on 30 March 1853. The protestant Van Gogh spent his childhood years in catholic Zundert, not far from the Belgian border. A reticent and introvert boy, he was educated at home and it soon became clear that Vincent was ‘different’. In the Vincent van GoghHuis you can experience how his time in Zundert moulded him and eventually enabled him to mature to become a world-famous artist. “A must see if you want to know Van Gogh” Vincent’s life had a tough beginning. As the son of the minister Theodorus van Gogh, he quickly became an outsider in the catholic village. He could often be found in the large garden with his younger brother Theo. He would have a wonderful time outdoors, but could also take comfort in it. Maybe that’s one of the reasons why the countryside played such a large role in Van Gogh’s later work? More than a museum In the permanent presentation ‘Vincent van Gogh – the Roots of a Master’, Vincent will take you by the hand and lead you through a re-enactment of his youth and you can learn more about his struggle with faith. Changing exhibitions show the enormous influence of Van Gogh on 20th and 21st century artists, modern art enthusiasts are therefore very much catered for. In addition, the Van GoghHuis has an artist in residence scheme, where an artist can literally step, and live, in Van Gogh’s footsteps every day! Heritage locations in Brabant The Vincent van GoghHuis has its own VVV (Tourist Information) counter and is of course one of the five Van Gogh Heritage locations in Brabant. You can also get to the Van GoghHuis by bike via the Van Gogh Cycle Route that connects all the heritage locations in Brabant. 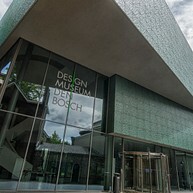 The Design Museum ’s-Hertogenbosch combines a unique collection of ceramics and jewellery with spectacular exhibitions of contemporary art and design. The core of the collection is formed by jewellery and ceramics of artists and designers from the 20th and 21st century. Other temporary presentations include works by Pablo Picasso and Lucio Fontana, but also design pieces by Gijs Bakker and Hella Jongerius. You can also see works by promising young artists.